If you’ve been following a strict gluten-free diet, but continue to suffer from lingering neurological symptoms, you may need to explore the possibility that you have Lyme disease. 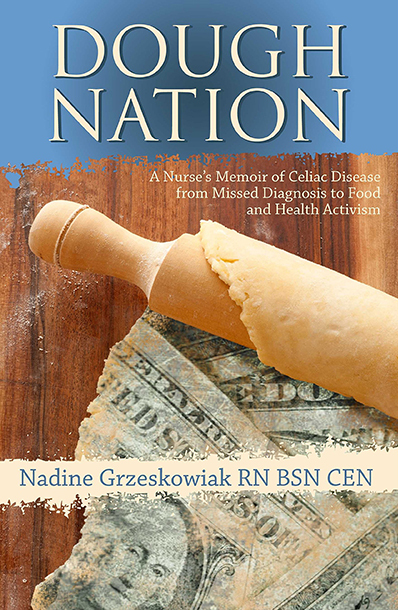 In fact, there are many parallels between celiac disease and Lyme, and the Gluten Free RN has called in an expert to discuss the similarities between the two disorders and why a gluten-free diet is part of the proper treatment for both. Dr. Usha Honeyman, a chiropractic and naturopathic physician out of Corvallis, Oregon, joins Nadine to explain the fundamentals of Lyme disease. She shares her best advice around prevention and treatment, exploring why it can be difficult to get an accurate diagnosis. Nadine and Usha also cover the inflammation of the gut that plagues both celiac and Lyme patients, the neurological component of Lyme disease, and the relationship between Lyme and illnesses like MS, Parkinson’s and ALS. Listen in to understand what can happen when Lyme goes untreated and how antibiotics coupled with a gluten-free diet may restore your health! Cause brain fog, balance issues, sensory disorders, etc.